Smartphones once again dominated Flickr's most popular cameras of 2017, making up half of all uploads, but it's not all bad news for 'real' cameras. In fact, DSLR use is on the rise again. 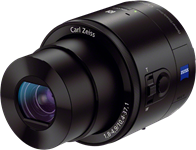 Looking for a lightweight compact camera that's easy to bring with you anywhere? Or maybe you're smartphone-shopping and want the one that takes the best picture. And what if you want to shoot from above? 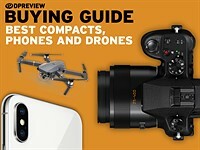 In these buyers guides we have recommendations for the best compact cameras, smartphones and drones. 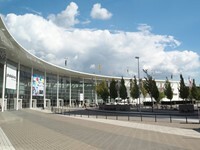 A look back at the trends, products and stars of Photokina 2012. A first look at the Nikon Coolpix S800c - the first camera from a major manufacturer to be built around Google's Android mobile operating system. 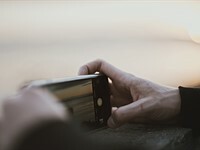 Smartphones are getting more and more popular, and as a consequence more and more people are turning to their phones to take and share photographs. 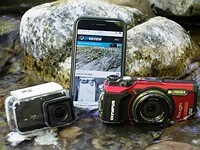 Joanne Carter of TheAppWhisperer.com takes a look at what this means for the 'conventional' photography market.